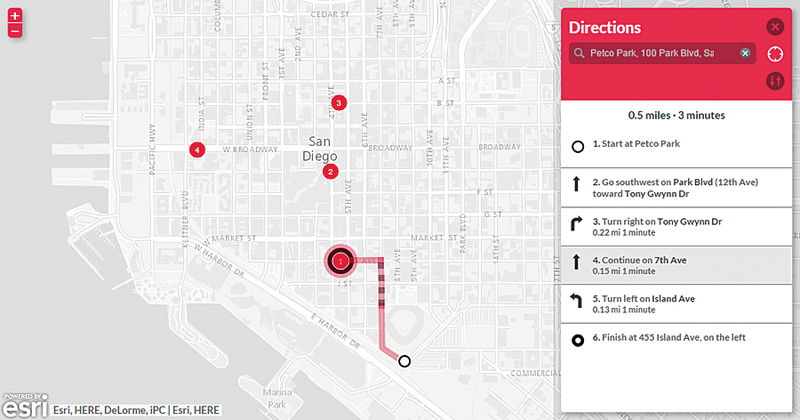 The December 2014 update added more valuable functionality, content updates, and configurable apps as well as improved workflows, and more ways for organizations to discover, use, make, and share maps. ArcGIS Online now includes a 3D scene viewer that enables anyone to explore 3D data and discover information from a web browser. By giving users and app developers the ability to import and publish layers from GeoJSON or export GeoJSON from an existing hosted feature layer, ArcGIS Online has become even more open. In addition, feature layers can be exported to feature collections, and CSV files can be imported as tables even without spatial references. Web AppBuilder for ArcGIS, no longer in beta, is a fully supported release. Create map-based apps that run on browsers, tablets, and smartphones from ready-to-use widgets and customize the look and feel with configurable themes using Web AppBuilder for ArcGIS. Earlier this year, Esri added the ability to take your hosted feature layers offline with Collector for ArcGIS for use when disconnected from a network. Now, you can also take your own hosted tile layers offline. Organizations can now allow members with ArcGIS accounts to set up multifactor authentication. Multifactor authentication provides an extra level of authentication at sign-in by requesting a verification code in addition to a user name and password. Activity-based metrics, real-time reports, and other useful information about your organization’s ArcGIS Online site that were available from the Activity Dashboard app have been integrated into ArcGIS Online so administrators can use these tools to manage their site. ArcGIS Online now includes a 3D scene viewer that enables anyone to explore 3D data and discover information from a web browser. 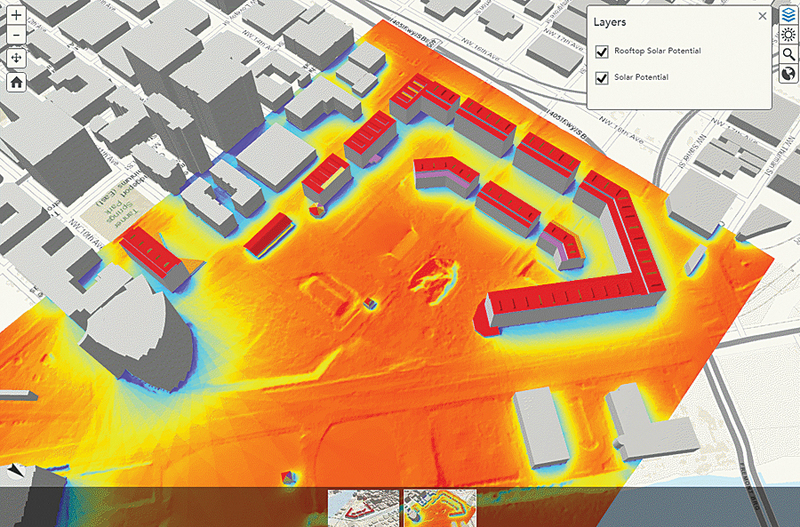 The scene viewer allows you to easily interact with a scene published by ArcGIS Pro or create 3D scenes using your own layers, either hosted in ArcGIS Online or on ArcGIS for Server, such as terrain and elevation layers. You can combine 2D and 3D datasets to tell a story and add pop-up windows and infographics to display important information. To make it easier to create, interact with, and share maps through the map viewer, options for embedding maps and including zoom controls, basemap selection, legends, and locations search have been added at this release. Pop-up windows containing related data from the Collector for ArcGIS app can now be viewed and edited. Esri added 1.7 million new unique points of interest (POI) overall and added POI data for eight new countries. Geocoding results and accuracy were expanded for Germany, the United Kingdom, France, Croatia, and Bulgaria. Sign up for a free trial. As part of your ArcGIS trial, you also get to try out ArcGIS for Desktop, which includes ArcGIS Pro and a number of other apps, such as Explorer for ArcGIS, Collector for ArcGIS, Operations Dashboard for ArcGIS, and Esri Maps for Office. You get to invite up to four other colleagues to the trial so you can see how easy it is to make maps and share content. Sign up today at esri.com/agoleval. Vietnamese is the newest language supported by the user interface for the ArcGIS Online website, bringing the total languages supported to 27. ArcGIS Open Data allows organizations to use the ArcGIS platform to provide the public with open access to their authoritative data. 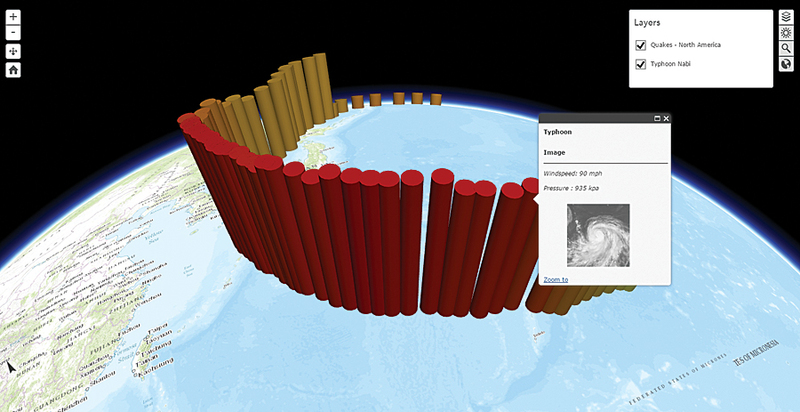 With the December release, Open Data supports the use of custom basemaps and introduces a new activity feed to communicate download status to people using the site. Expanded spatial analytics capabilities help you discover and communicate meaningful patterns in your data. You can now connect Origins to Destinations so you can create many routes at the same time. You can create viewsheds of what an observer at a specified position can see. You can create watersheds or upstream contributing areas. You can trace downstream to determine a flow path. The Extract Data tool now supports attachments. You can verify expressions when calculating a field. Many existing tools, such as Enrich Layer, Summarize Nearby, Find Nearest, and Plan Routes, take can use trucking and walking as travel modes. The 3D scene viewer allows you to easily interact with a scene published by ArcGIS Pro or create 3D scenes using your own layers, either hosted in ArcGIS Online or on ArcGIS for Server, such as terrain and elevation layers. Updates to the World Imagery basemap that include SPOTMaps 2.5 meter imagery and Pléiades 0.5 meter imagery at larger scales, where it improves the quality or currency of existing high-resolution imagery. New, detailed demographic data for Germany, Australia, and India that you can use for mapping and data enrichment has been added. You can use the new demographic maps on consumer spending and market potential for the United States, and new global landscape layers for regional planning. In 2014, Esri published a new set of image layers featuring recently available 1 meter resolution, multispectral imagery for the continental United States, from the US Department of Agriculture Farm Service Agency National Agriculture Imagery Program (NAIP). NAIP acquires aerial imagery during the agricultural growing season in the continental United States. The image layer published by Esri provides access to NAIP imagery by state in four bands, with the option to display the imagery as false color or to display the Normalized Difference Vegetation Index (NDVI) showing relative biomass of an area. The December update includes NAIP 2013 imagery that is available for 23 states. The NAIP image layer is currently in beta and available to users with an ArcGIS Online subscription (paid or trial). The White House announced it will release Shuttle Radar Topography Mission (SRTM) elevation data globally over the next year. Esri will continually improve World Elevation services as more data is released. In the most recent update, World Elevation services include more detailed 1 arc-second (~30 meters) Shuttle Land Elevation Data for Africa. New Dark Gray Canvas basemap can be used for maps and applications that benefit from a dark, neutral background map to emphasize thematic layers.